MTSU’s Rob Janson has been named among the “Top 20 Under 40” young professionals by Murfreesboro Magazine, which is published and distributed by the Gannett Co.
An MTSU alumnus, Janson, 39, serves as strategic communications manager for the Division of Marketing and Communications and oversees a variety of the University’s digital marketing and advertising efforts ranging from promotional videos to electronic billboards and from commercials to social media campaigns. 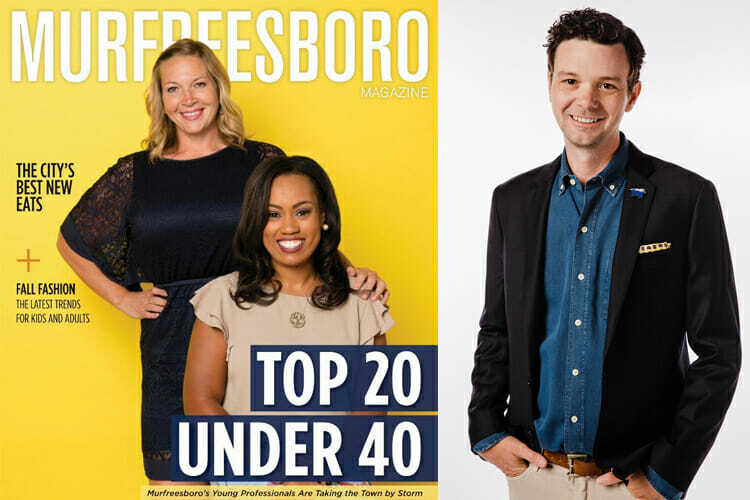 In announcing the 2018-19 class of young professionals, Murfreesboro Magazine noted that the group, which included those from banking to livestock and marketing to hip hop dance, is “injecting a healthy dose of passion, hard work, and determination into our community. Read about the complete list of professionals here.